When you look out for an out of the box approach to design your home, you can come across a seamless exterior when you consider the Dutch Architecture Design. There are different unique design ideas both for the interior as well as exterior space. People have different tastes and aptitudes, and you can experiment with these design ideas to make your home unique and personal. Here are ten unique Dutch architectural design ideas that you will find useful. 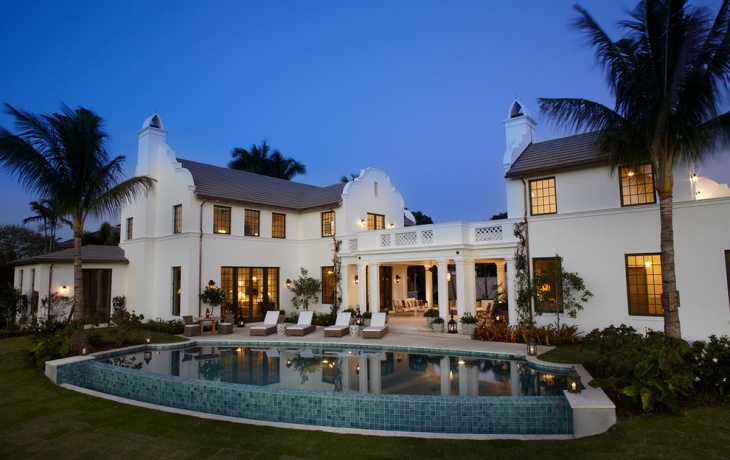 You would like this beautiful design, incorporating the minimalist exterior idea. 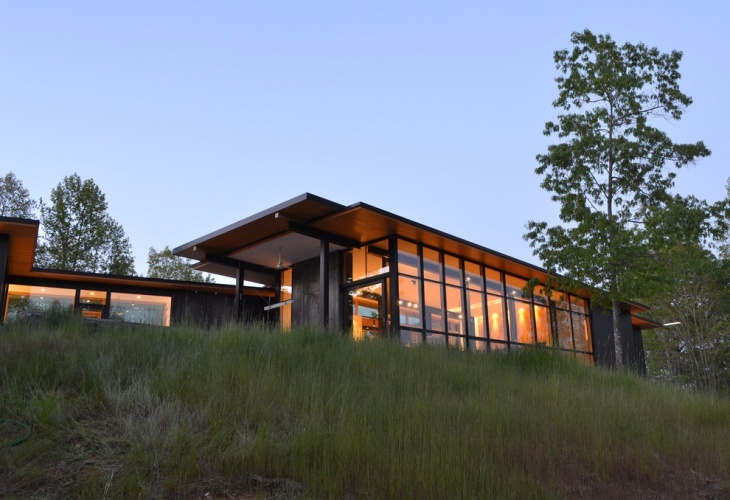 This is typically a mountain home, and has beautiful landscapes around it. Elegantly lit interior, along with the glass walls supported by wood-colored frames form the perfect match with the surroundings. Get in touch with this royal castle-like architecture for a change. Paint the house grey and white, keeping a parity with the grey boulders around. 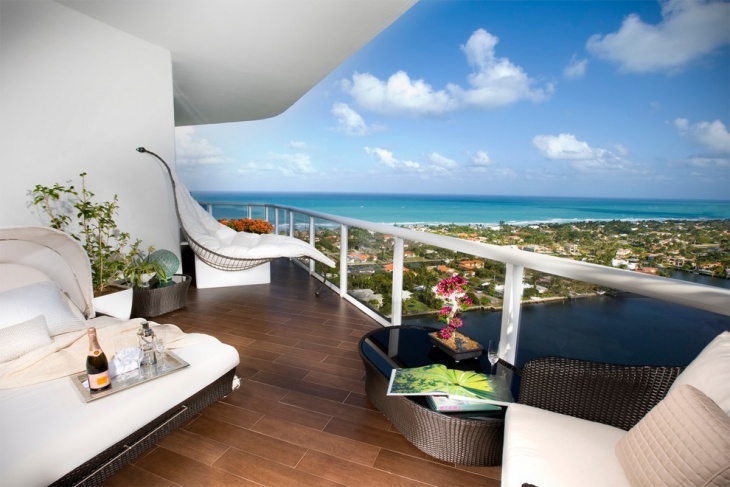 With green turf in the front and tall vegetation at the back, you will get the perfect beauty. 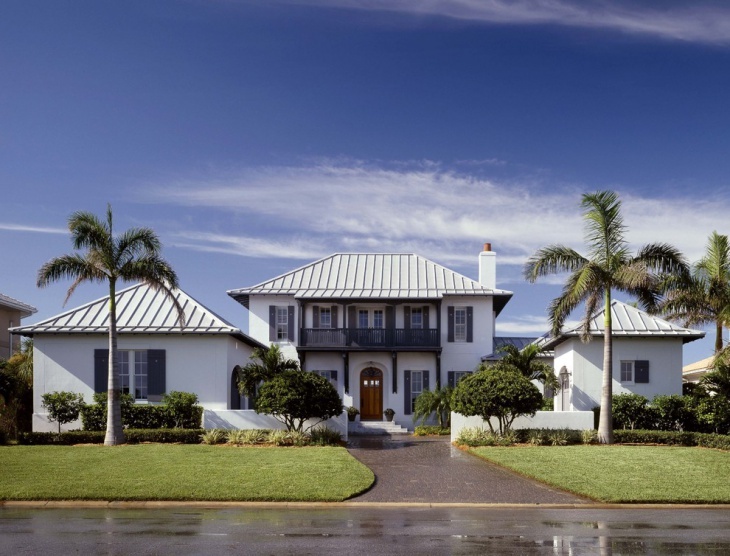 Opt for a mansard roof. If you are a lover of great landscapes, you would probably love the idea. With a gravel driveway arching in front of the house, you will get the grill roof and colonial sliding all in a single royal home. The brown paint of the house goes well with the natural settings. 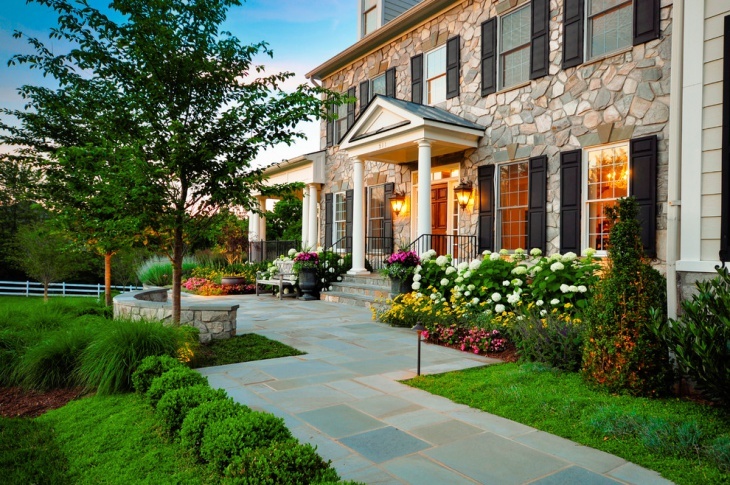 When you look out for a bright exterior, go for the colonial style for the doors. 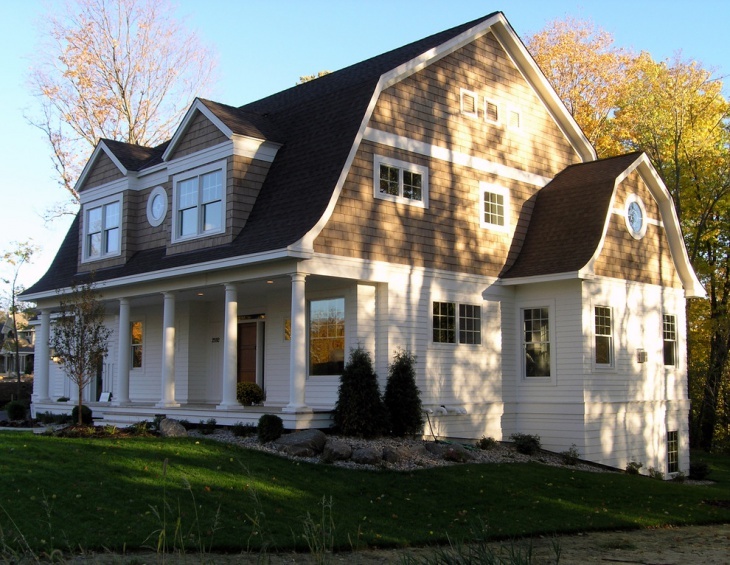 Get a colonial white granite exterior for the home. 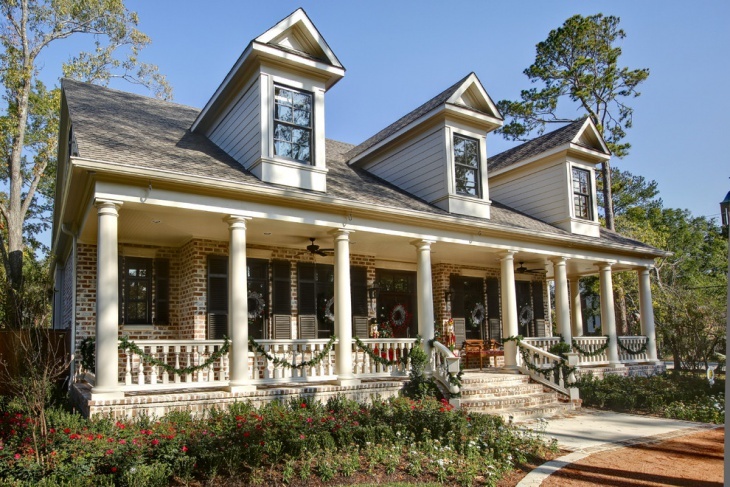 It comes with a ranch-style front porch and gambrel roof. With the perfect combination of white and brown, it is perfect for your taste. This is one of the best dutch wall décor ideas, with blue pool tiles surrounded with hedge plants. 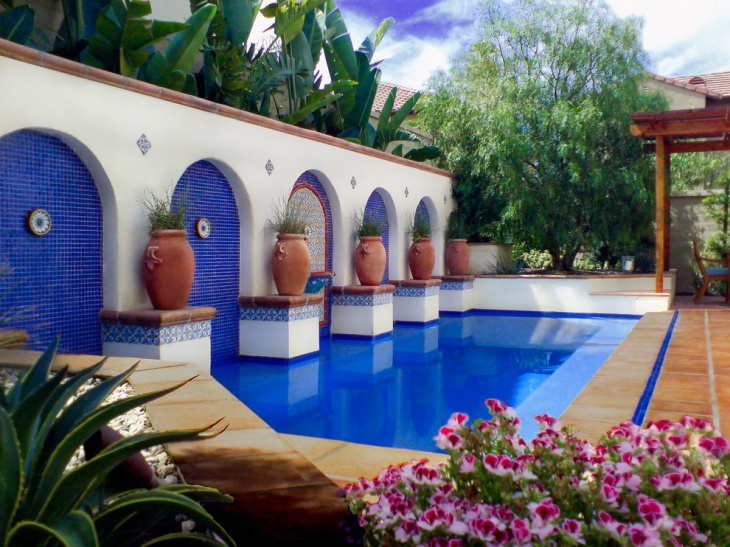 The cobalt blue color of the pool goes well with the arched walls and clay accessories installed as decorations. When you desire for a house in the traditional style, get a brick fence along the white and slate colored house. A front porch will be compatible with the scene. Dormer windows will go well with this particular architectural style with the brick lime wash for the exterior. Coming to the interiors, you can get the walls painted in a home-theater paint colour. The vaulted wall is a great match for the room. Get elegant sofas for sitting arrangements. The wood-finish of the doors make a classy match here. 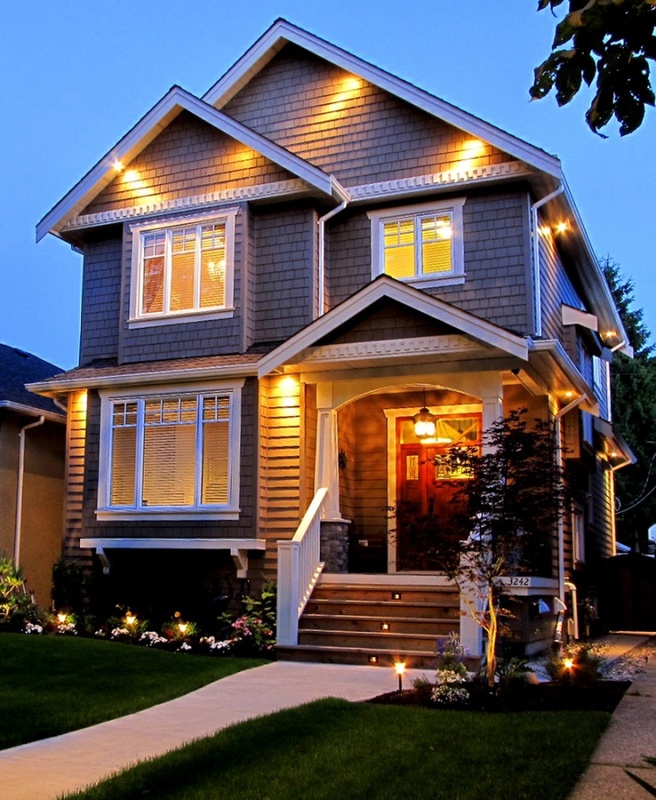 When you get in touch with a house with a front elevation, you can illuminate the exterior of the house with elegant lights. Soffit lighting goes well with the narrow house and the narrow house with door crown molding looks great with the bright red-yellow lights. Buy some Bohemian furniture to suit the interiors of the home. 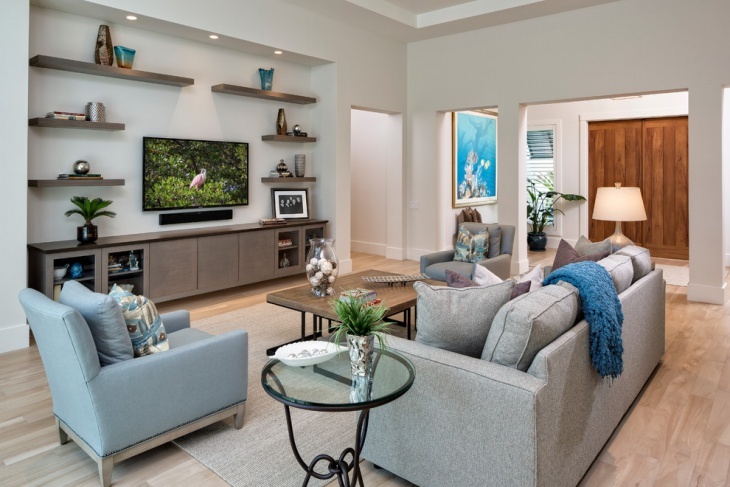 Place the large TV next to the fireplace and the coral sofa makes the interior look luxurious. Paint the media cabinet in well burnished brown, light in color to complement the floors. 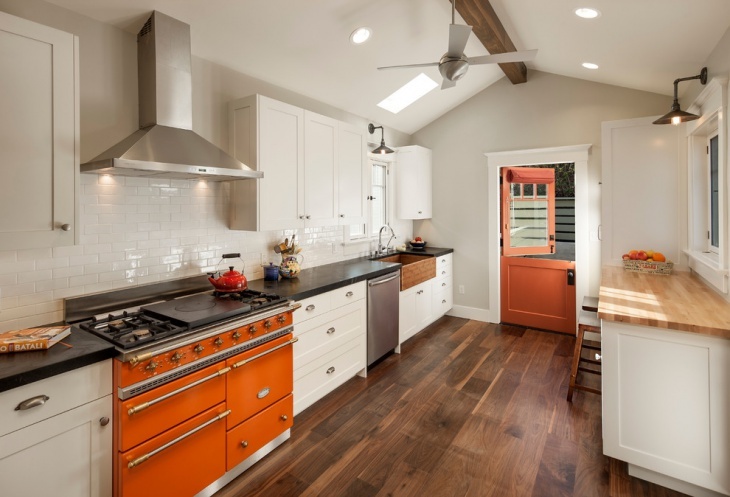 You will like the transitional single walled kitchen and that too, with dark, hardwood floors. The white with farmhouse-styled sink will make a great match for the home. Get some stainless steel appliances to complement the looks, and place the bright wall cabinets along the horizontal wall. There are other ideas as well, and you will also like the dutch bathroom design ideas as and when you come across them. You may incorporate any of these ideas in your home, hope you will find these useful. You can come up with your own innovations and let us know. You can always share your ideas.